Just last Sunday (19th November), we had our annual event at the Community Club - Heroes of the World. It was indeed a joy, to be able to spend the Sunday morning amidst laughters and fun, and we sincerely hope that all parents and children that came down and supported us had just as much fun as we did too! 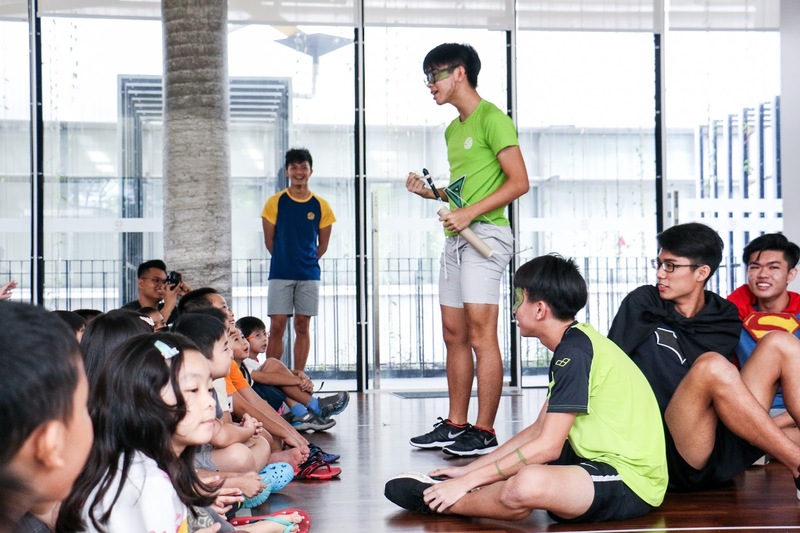 Heroes of the World was organised in collaboration with Eunoia Junior College, specifically their Floorball and Volleyball team as part of their Values-In-Action (VIA) project. They have put in a lot of hard work and time to making this event a success, so for now, let's take a look at what they have got to share about their entire experience! "This is the first VIA the Eunoian Volleyball team participated in and it would definitely not be the last time we come back. 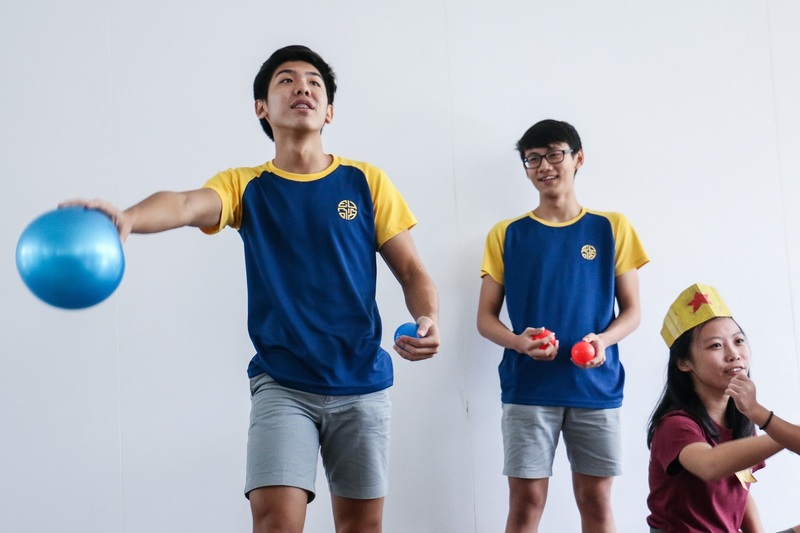 As it was difficult to find something where the whole team could contribute actively, so we reached out to the other CCAs in our school to get some ideas. 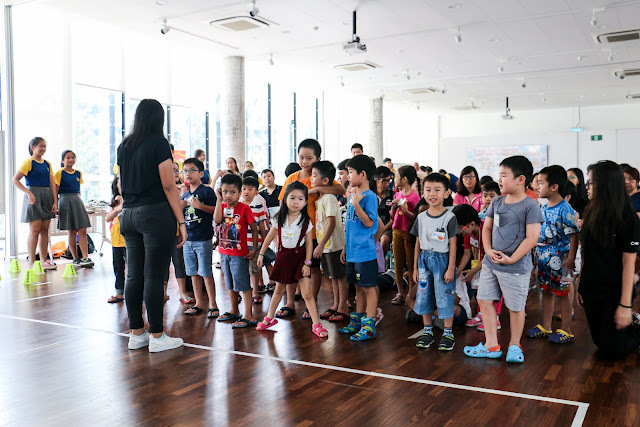 After hearing about ‘Gift of Reading’ from our Floorball friends, we wanted to collaborate with them to create an exciting experience for the children. 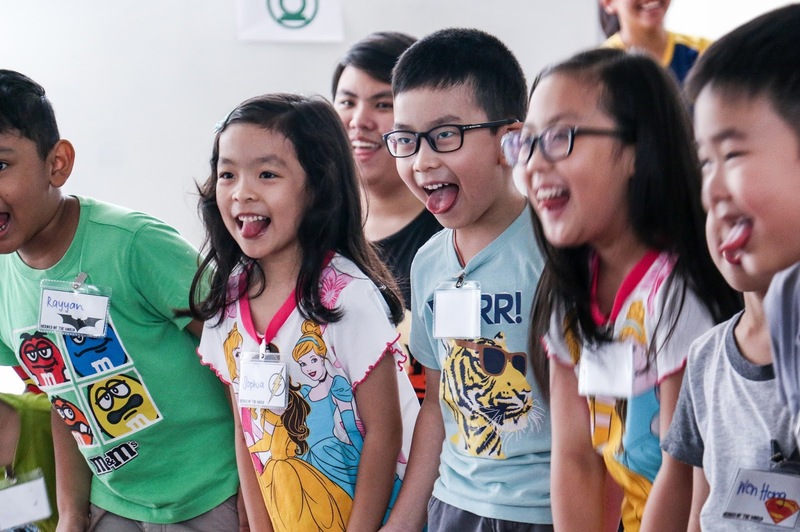 We didn’t really know what to expect because, for many of us, it was our first time working with children. Fortunately, with the help of the floorball team’s expertise, we came up with a ‘Superheroes-themed’ event which involved acting a skit and preparing game stations. The theme wasn’t always ‘Superheroes’, we discarded many like Minions before landing on the superhero idea. Even then, we were worried that the children would not be able to identify the members of the Justice League. 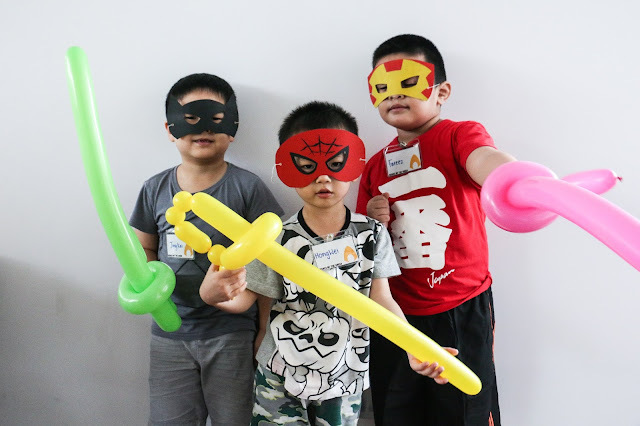 However, the children turned out to be superhero fanatics and proved that we didn’t have to worry. I was involved in the skit as one of the characters, Catwoman. One hurdle we faced was writing a script that was child-friendly, one that was funny and engaging as well. Another thing we had to work on was our stage presence because we have very little experience in acting. 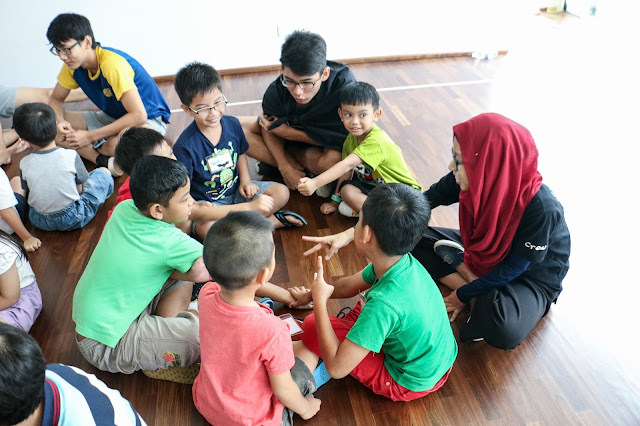 On the day of the event itself, we were in for a surprise because on top of staying in character, we had the additional roles of ‘Team leaders’ and navigate our little friends around the game stations. Although the children were around 4 to 7 years old, they were very lively and gave very interesting and witty answers which we did not expect. Hence the skit team had to veer towards Plan B and improvise on the spot. Confidence exuded from them and it was inspiring, because as we grow older we tend to respond less. After Part 1 of the skit, the performers each took charge of a group of children and led them to different game booths. 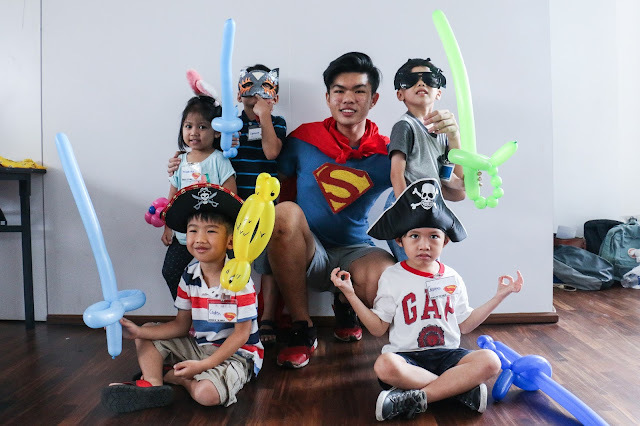 I was apprehensive of looking after 10, but after the first few minutes and with the help of other volunteers, I was having a lot of fun with the children. They were excited about everything and tried their best at all the stations. I was very heartened by how the siblings in my group treated each other. I had 3 Brother-Sister pairs in my group, and they really looked out for each other and offered food to their younger siblings. On top of all their redeeming qualities, the children were very bright! They were so eager to answer our questions the "addition and subtraction" station and pestered us to challenge them more. Their enthusiasm was gratifying because we weren't sure whether our simple games were adequate. All in all, this was a refreshing experience. Even though this was an event organised for the children, we also gained a lot from interacting with them and observing their positive attitude. 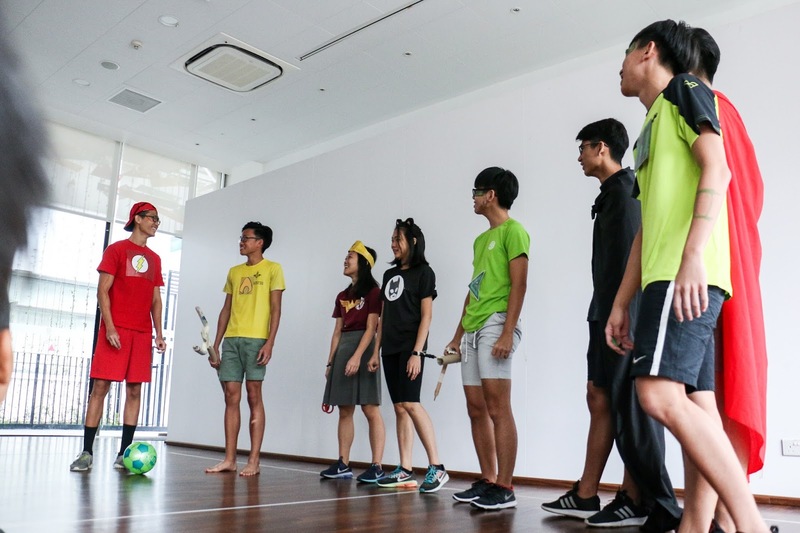 Both the volleyball and floorball teams worked together beautifully, we really look forward to interacting with these little sources of inspiration again." "Whatever started as a bridled ambition of having a sports carnival, turned into a well-riveted execution of games and laughter. I vividly remember sitting in the consultation room of Eunoia JC, together with other key members of this event, randomly and excitedly blurting out ideas and games. “Let’s have popcorns, and candy floss and...” We didn’t expect this Values-In-Actions programme to be successful, to say the least. It was different from the usual reading sessions, hence I wasn’t very confident about it initially. This carnival required much more planning and funds, which made us increasingly worried as the days went by. Building up to this event, time was scarce. We had numerous meetings during our recess breaks, to ensure that this carnival was a hit. It then dawned upon me that things were actually happening. I saw how my school mates struggled to come up with entertaining activities for the carnival as well as the creativity and the sacrifice of their own pride that was put into the skit. Imagine 17 year olds acting as superheroes just for the children. 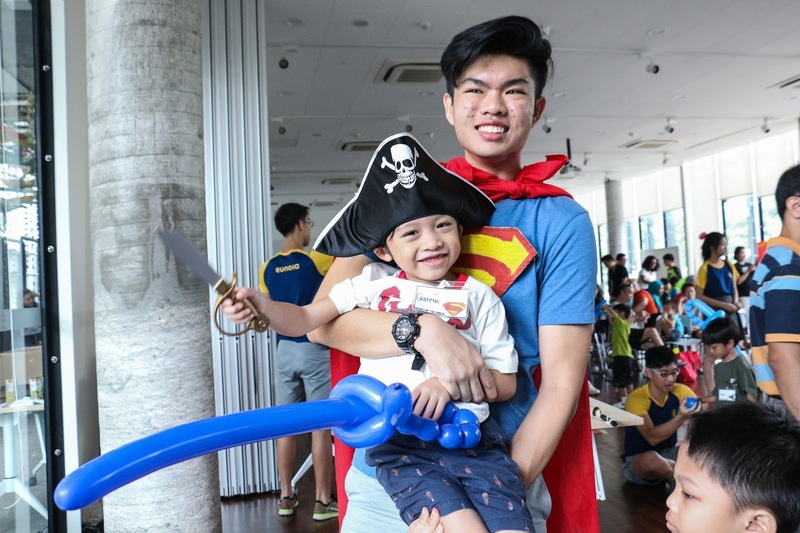 However, my heart beamed with pride during the carnival as I saw many children with wistful smiles and roaring laughters, witnessing their dream superheroes actually come to life in front of them. So close yet so far, they say! I was in charge of Dodgeball. Witnessing how excited the children were while throwing balls, it really touched me a lot. Even though they were a little rowdy, I was glad that we still had so much fun with them and I really enjoyed the experience. In the midst, I saw how my friends, even the quietest, stepped out of their comfort zones to cater to the needs and wants of the children, how they had to hold the children’s hands as they toured around the booths, and how they had to constantly and frantically return to the balloon crafting station, so as to coax and console the children with the colorful and beautiful designs. I would never have imagined such sights before. I’ve never been a firm believer of having a heart for the people out there. But this VIA programme was an utter eye-opener for me, not just of how beguiling and adorable the children were, but how my simple act of kindness could bring about smiles and laughter to the children’s day. 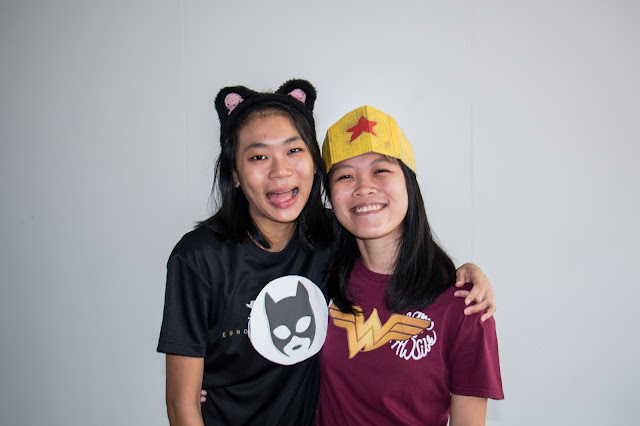 To end off, superheroes aren’t fictional, they live in us. Saving the day, all starts from you!" Indeed, compared to the usual sessions, a large scale event like this does require much more coordination and planning, and the volunteers at Gift of Reading are happy to say that the Floorball boys had done a great job, from sessions to this event in particular! 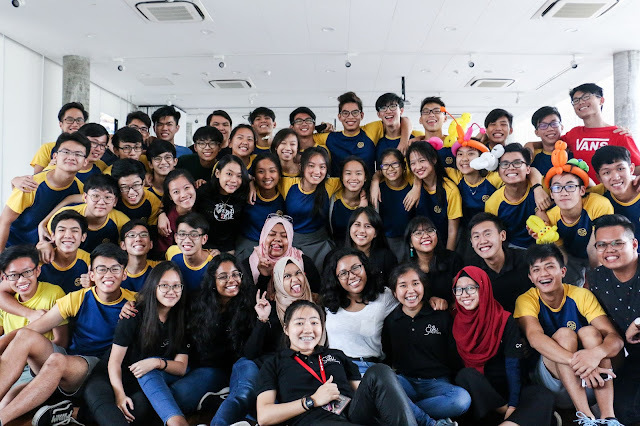 Once again, thank you both teams from Eunoia JC for putting in so much time and effort in preparing and executing the event. It was a success and we look forward to possibly working with some of you in the future! Not forgetting our parents and children, thank you so much for your continuous support, be it for our sessions or events that we organised. We look forward to seeing you again next semester, and till then, take care!